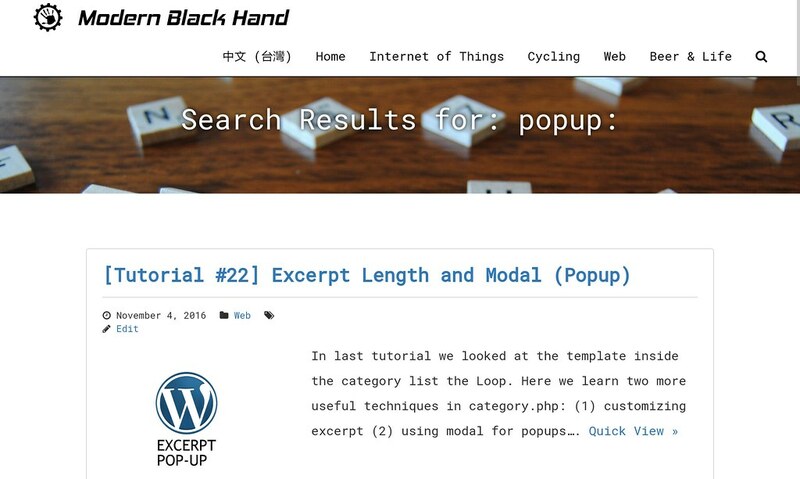 In last tutorial we created the search form as modal and the search result page. Now we need a way to invoke the search form. Create a Custom Links tab for search. The main reason we need #2 is because wordpress does not allow emptied name tab (as we want to use a search icon). Also we prefer to specify most of the HTML attributes in the theme rather than in the admin panel, as it makes reusing theme harder. Go to Appearance -> Menus and select the header menu. At the left column open Custom Links drop-down. 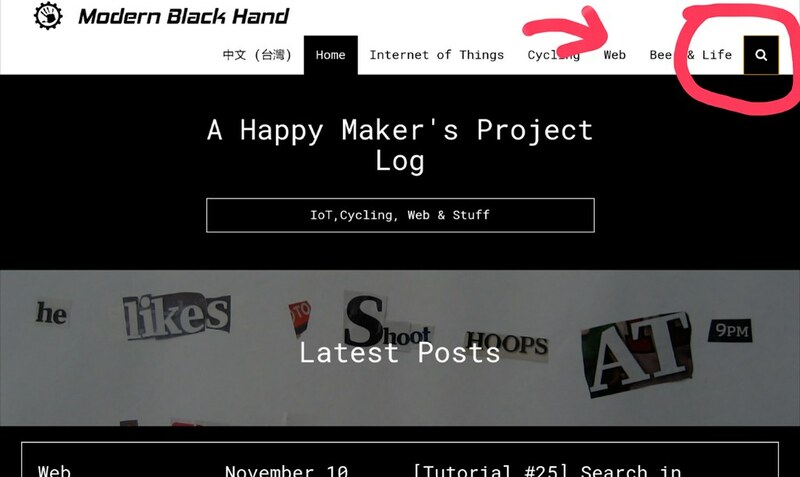 Input url as http://# for the modal and Link Text as “Search”. Add it to the menu. Adding our CSS class for identification. The code segment in our JS file assets/js/main.js is as follows. You can also find the file on my Github. 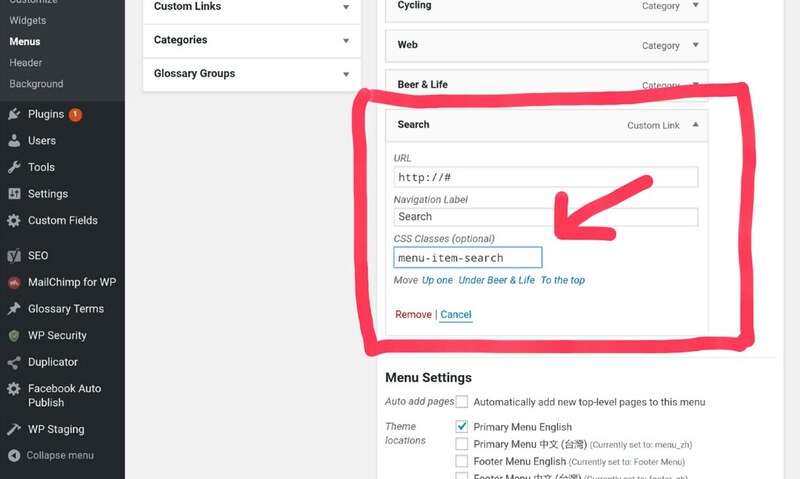 Wordpress renders the header tab via a list item <li class="menu-item-search ..."> tag and put a link tag <a> tag inside, so for the jQuery selector in line 4 we get the <a> tag accordingly. Remove its text (line 6). Add Font Awesome search icon classes (line 8). 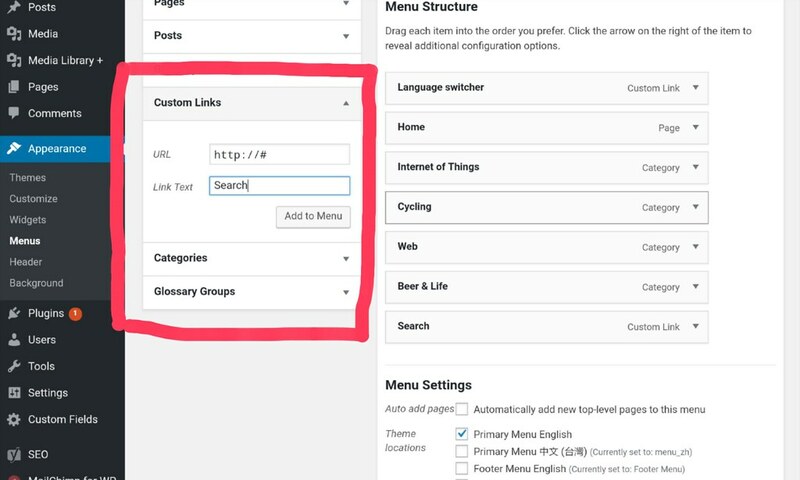 Add modal classes linking to the search form (line 10). The structure is very simple, with a centered Bootstrap column (line 16) showing two <h1> header tags and an image.